Outdoor 2 Person Canopy Swing Glider Just $68.94! Down From $200! You are here: Home / Great Deals / Christmas Deals / Outdoor 2 Person Canopy Swing Glider Just $68.94! Down From $200! Right now you can get this Outdoor 2 Person Canopy Swing Glider for just $68.94 (Reg. $200) at Walmart! 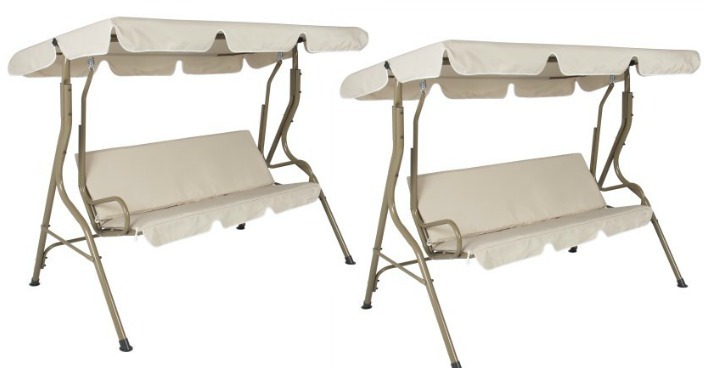 Best Choice Products presents you this brand new beige canopy swing that can comfortably seat two people. This canopy is made of polyester and a durable steel frame. It is a great piece for summer relaxation while keeping cool under the shade of the canopy.